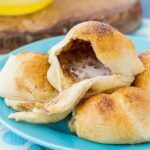 Resurrection Rolls are so easy to make with crescent roll dough and marshmallows. Also known as Empty Tombs, these Easter rolls represent the empty tomb following the resurrection of Jesus. 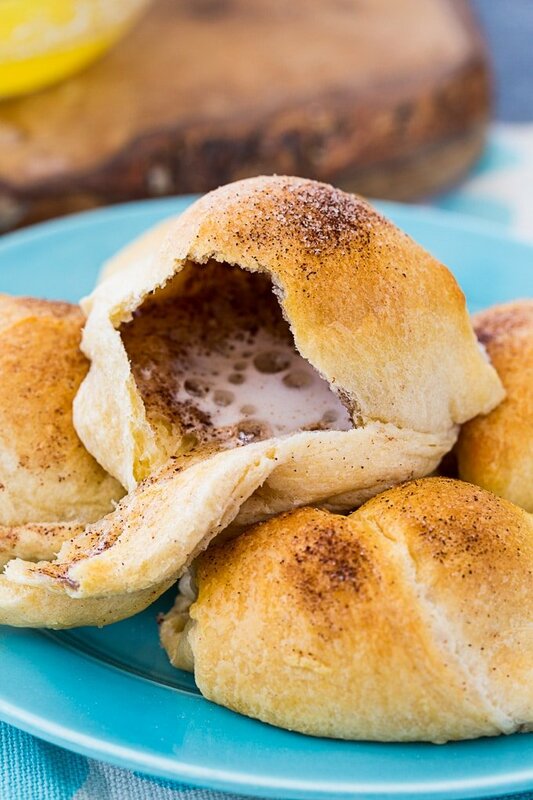 These rolls are a little bit sweet due to the marshmallows and some cinnamon sugar. They make a wonderful addition to Easter breakfast. Resurrection Rolls are absolutely delicious and only take 8 to 10 minutes to bake. They are an Easter tradition your kids will love. These rolls are perfect for teaching your kids the Easter story. Each ingredient has symbolism. The marshmallow represents Jesus. 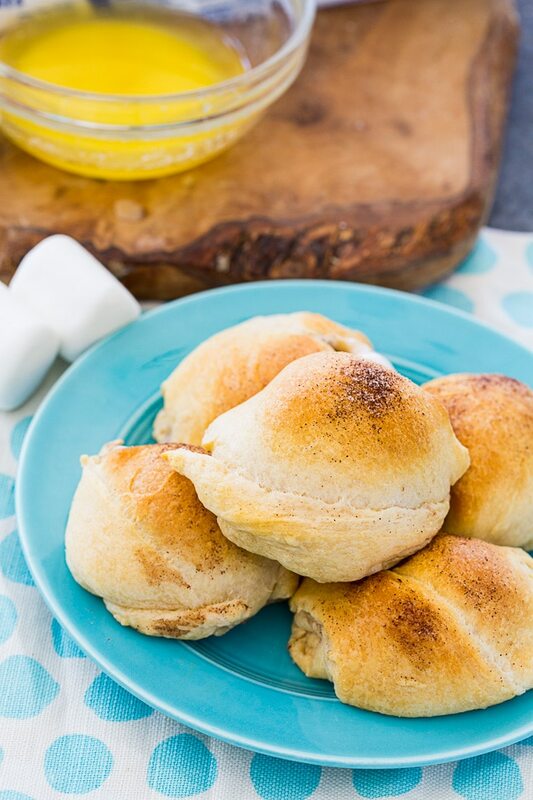 The butter and cinnamon represent the oils and spices used to annoint Jesus’s body and the crescent roll dough being wrapped around the marshmallow represents Jesus being wrapped in his burial clothes. On the third day, the tomb was found empty. 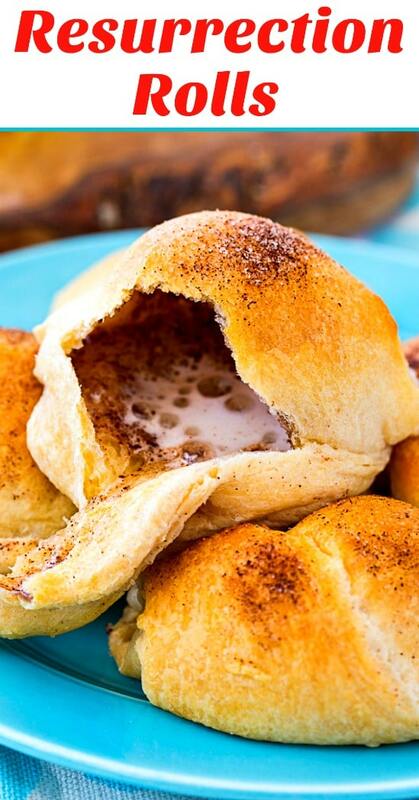 As the Resurrection Rolls bake, the marshmallow disappears and the rolls become hollowed out. Such a great visual lesson for young children! Pinching the dough well around the marshmallow is key. 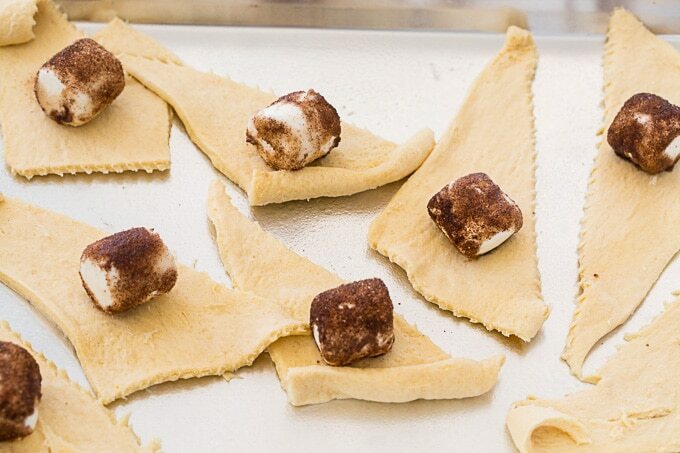 Otherwise gaps will open up as they bake and the marshmallows will ooze out. Best eaten soon after baking. To prevent the rolls from sticking to the baking sheet, use parchment paper. Unroll crecent roll dough and separate into triangles. Dip each marshmallow in butter and then coat in cinnamon sugar. Place in the middle of a piece of dough. Roll dough around marshmallow, sealing the seams really well. Position so seam is facing down. Sprinkle a little more cinnamon sugar on top. This entry was posted in Breads and Muffins, Easter and tagged crescent rolls, marshmallows. Bookmark the permalink.